Wild goats lead the way for hikers down the 2,000-foot red walls of Waimea Canyon on trails right up there with the best of the American Southwest. But wait. There's more. 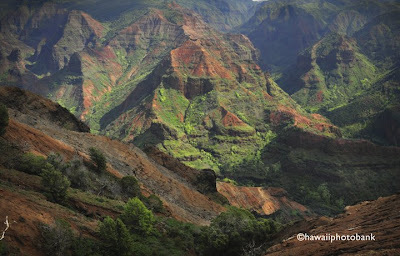 Get to the top of this canyon and look seaward, down 3,000 feet or more, as Kauai's Napali (The Cliffs) radiate out like spokes of a giant wheel. Adventure hikers can go nuts.